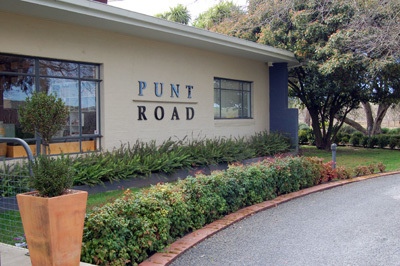 Part of the 15th Melbourne Food and Wine Festival this event was called Master of the Barrel Room and was hosted by Riedel and Punt Roat Winery. 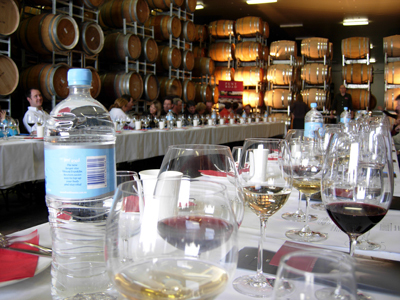 Have you ever wondered why fine wine should be enjoyed in the right glass? 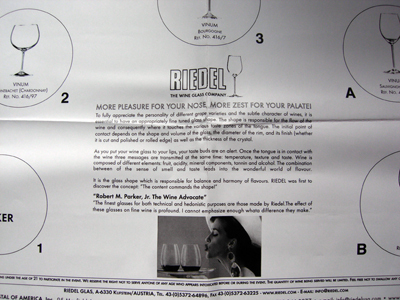 The biggest thing I learnt was that Riedel is not pronounced Rye-del but Reedle, to rhyme with needle. The tables formed a large U-shape - actually I'm surprised how big this event is considering how small last nights was. 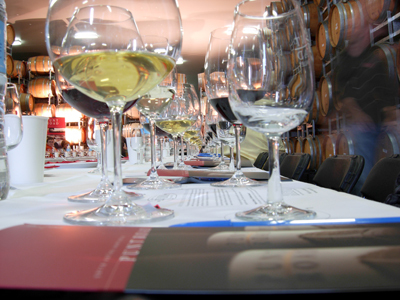 A lot of time was spent pouring wine from one glass to another to experience the differences, if any existed. 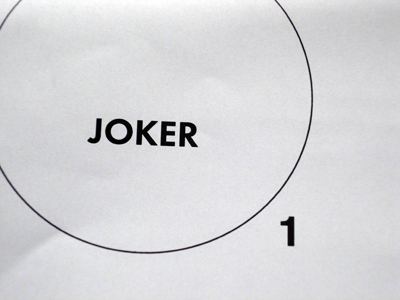 For the first wine, the Sauvignon Blanc after tasting it in it's correct glass it was then moved to the Joker glass. This Joker is the standard tasting glass - surprisingly there was a difference. The wine wasn't quite as open as we had initially found it to be and it's flavours were a bit underdeveloped. We then poured it back into the correct glass and gave it another taste before emptying the glass for the next round of comparisons. By the time we reached the fourth wine we would be pouring the wine from the correct Bordeaux glass to the Joker then to the Bourgogne followed by the Montrachet and finally the Sauvignon Blanc glass before being returned to the first glass. 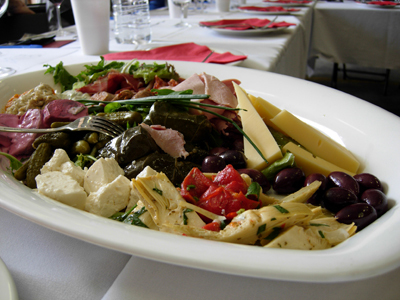 After all the sniffing and tasting and drinking, antipasto platters supplied by The Healesville Hotel were brought out. Each platter to be shared between four. We didn't stay to savour the platters as we had something else in mind - a trip to nearby Bianchet Winery and Cucina Rossa.